Sirma Mobile has developed an innovative mobile app for accepting instant payments on the go. PayMobilio is an application that can run on a mobile phone or a tablet using an additional reader, allowing users to accept payments wherever they are. The app also allows for automatic VAT/tax calculation based on a country, which can be easily turned on/off. 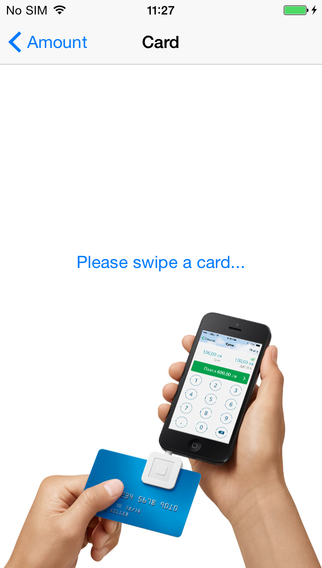 Users simply need to swipe their card through the reader to process a payment. Verification is done either through entering a pin code or by a digital signature directly onto the smartphone or tablet. Digital receipts can be sent by email or SMS. PayMobilio is compatible with all major card types, including Visa, MasterCard, EuroCard, Diners, and others. It accepts any credit card payments, including swipe cards, chips cards, contactless cards, such as MC PayPass and Visa PayWave, etc. For more information, you can visit www.paymobilio.com or contact us at office@sirmamobile.com. Our latest project involves the development of mobile application for iPad for virtual live betting. The application supports betting on roulette, Blackjack, Baccarat and Texas Hold’em poker. Rather than being computer-generated, the betting is broadcasted live via the so called online gaming tables. 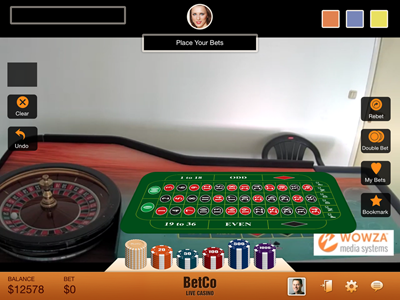 Thus, each player can start the application and play live at any time, being able to see the dealer on his monitor and communicate in real time. The app also enables real time communication between the players. They can play with friends, share their results and keep active chat communication. Additionally, the players can select specific tables with people they know and form new tables with friends only (the so called Private tables). The mobile app is also integrated with Facebook. Currently, the virtual casino is intended solely for the US market, but is expected to be extended in European markets as well. iOS app for "Let's Clean Bulgaria in One Day"
For a second consecutive year, Sirma Mobile supported bTV’s initiative “Let’s Clean Bulgaria in One Day”. 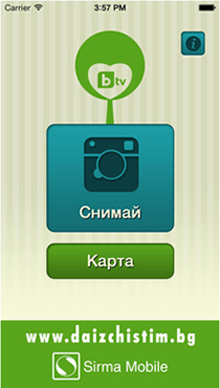 This year, our developers created an iOS mobile application for the campaign “Let’s Clean Bulgaria in One Day”. The app enables citizens to capture a contaminated area using their mobile phone camera and send it over to bTV, as part of the “Let’s Clean Bulgaria in One Day” initiative. The application allows citizens to take a new picture, or choose an existing one from the phone’s gallery. All contaminated areas which have been marked can be seen on a map. The mobile app is now available for both iPhone and Android. The iOS version can be downloaded from iTunes. For Android, please visit Google play.